Present state: Demolished - nothing remains of the halt although the Stanley Lane bridge is still extant with the cyclepath going under it. 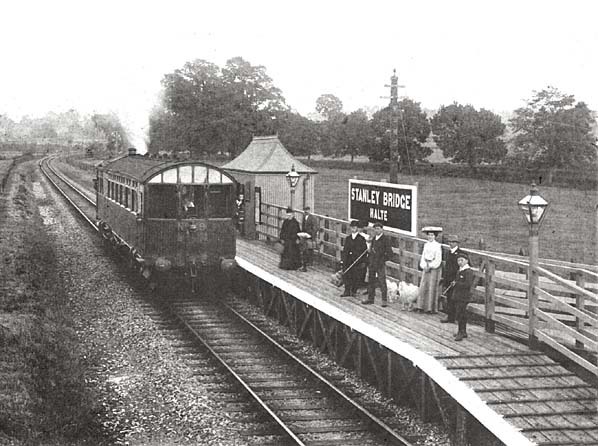 Notes: Stanley Bridge Halt was opened in 1905 with the introduction of the new steam railmotor service. 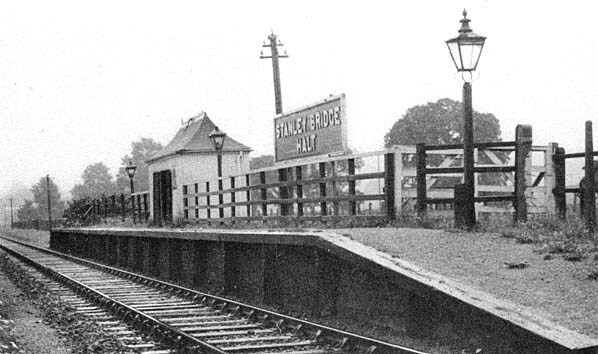 The platform was on the west side of the line and was provided with a a typical GWR pagoda style waiting shelter. There was also a small wooden building for milk churns but this was demolished before the line closed. The site of Stanley Bridge Halt in May 2006. The present cyclepath comes under the Stanley Lane bridge and turns sharply to the right to join the road. 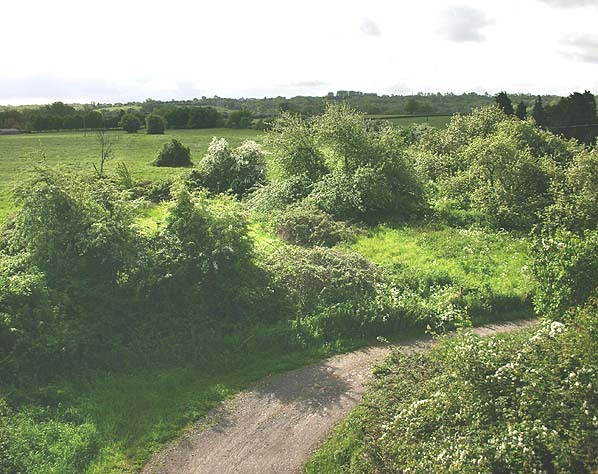 The railway line went straight ahead through the bushes on the left, this was the site of the halt.